BIG NEWS! 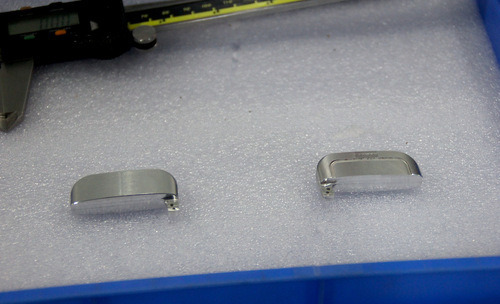 We got our final lighter housings and parts in from our prototypers. It’s quite a surreal experience to actually hold in your hand what was once merely an idea, a figment of your imagination. From conceptualization to design, to iterations of that design and now this — seeing our product alive is rewarding in and of itself. Tangibility is credibility, and with anything in the creative process, the closer you can get your idea to becoming tangible so other people can use or understand it is crucial to having your idea accepted. As an entrepreneur, it’s not your job to love your idea. That’s for your users to decide. Your job is to help them understand what it is and what it does, and how it will improve their lives — whether in the form of a physical product, a software app, or whatever. 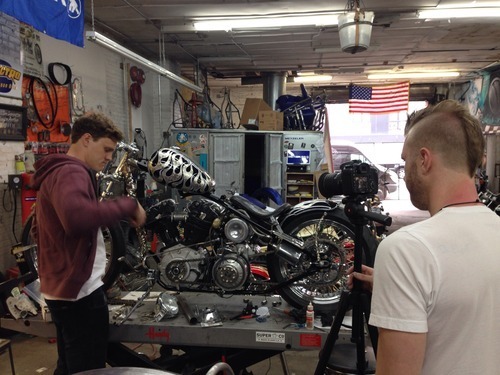 Other updates: I’ve gone to NYC to shoot our Kickstarter video while Kuji wraps up the program in Shenzhen. Most people underestimate the amount of preparation and planning going into creating not just an effective video, but a campaign altogether. On another note, it’s nice to finally be stateside after 3 months of grinding in China, and fighting the Great Chinese Internet Firewall. 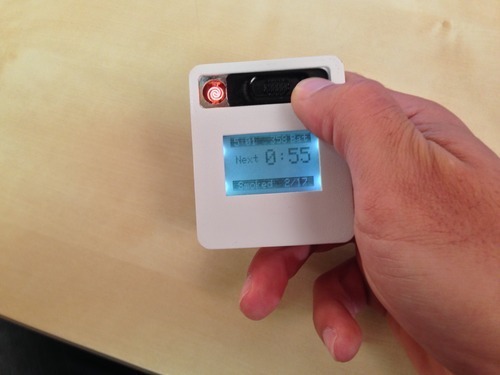 ​It was exciting seeing our product become a little more tangible and definitely a worthwhile trip. Good thing we got there when we did though, because we found a discrepancy in the plastic they had used with the planned production material which required different design. I had to relay the designs of the plastic molding back to our designers so they could accommodate it for the new material. The experience is a great example of the importance of physically being there with your manufacturer. 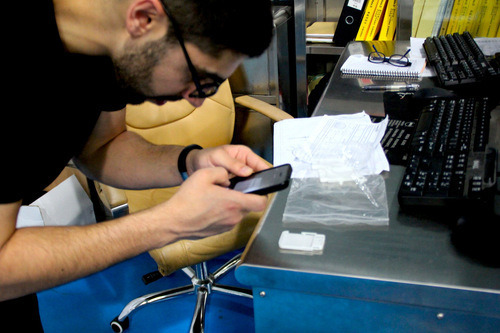 Visiting the factory enabled us to get a feel for our product and spot mistakes before they could cause major delays. Unfortunately, the little mishap still caused a minor delay in our prototypes getting completed, but it could have been worse. Right in the center of the city and across the street from our offices at Haxlr8r you can find the Mecca of electronics in the world. 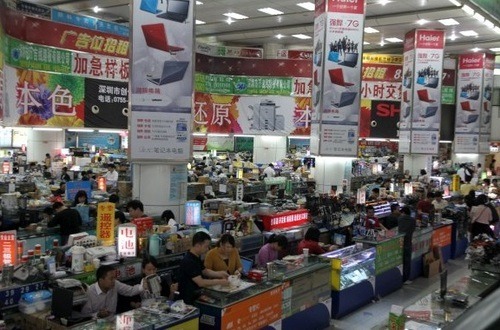 Sprawled along Huaqiang North Road in Shenzhen are dozens of markets where you find any electronics you could possibly want. We really do mean anything… We’ve sourced things like tiny tactile buttons for our prototypes to toy helicopters from the markets. Most recently we were in the SEG electronic markets looking for a battery that fit pretty exact dimensions for our latest prototype. 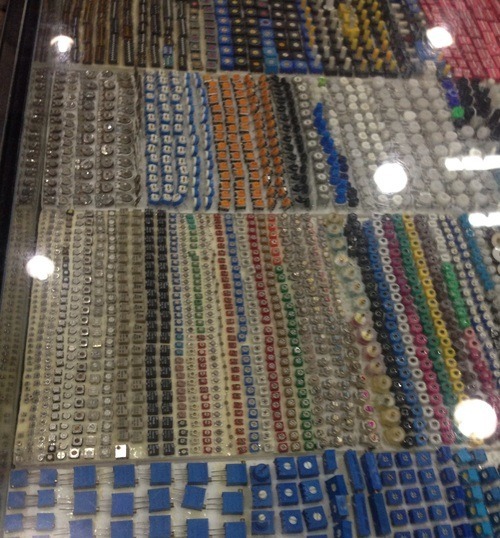 We grabbed our calipers, took a stroll a few blocks from our office, and found a vendor that had so many battery sizes we couldn’t help but spending 30 minutes sorting through them! The markets are invaluable because of their rapid turn. If you need a specific part, instead of having to order it on Digikey and wait days, you can spend 1 hour in the markets and find it. They make prototyping easy and are also like a component treasure hunt! 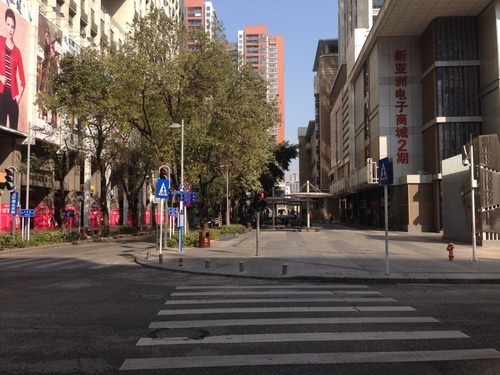 For anyone that is going to be exploring the markets in Shenzhen, Haxlr8r has put together a great guide for getting around that you should definitely check out (http://haxlr8r.com/blog/hua-qiang-bei-map-for-makers). There has been more and more talk about 3D printing as of late. I’ve even heard my friends call it the start of the third industrial revolution. But what’s lost in all of the futurism is how 3D printing is helping small startups like Quitbit test, learn and iterate like never before. When we wanted to create our first prototype we were faced with the very real challenge of where to put our electronics. In 2006, my cofounder Kuji was the 2nd engineer to join a sleep tracking startup called Zeo when he faced a similar challenge. 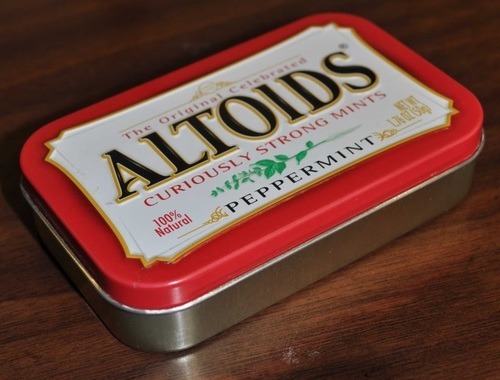 What they ended up using was an Altoid tin for their first housing. It was about the right size to fit a small breadboard and provided EMI shielding. It wasn’t pretty, but it was good enough and became a legacy in the story of Zeo for years to come. 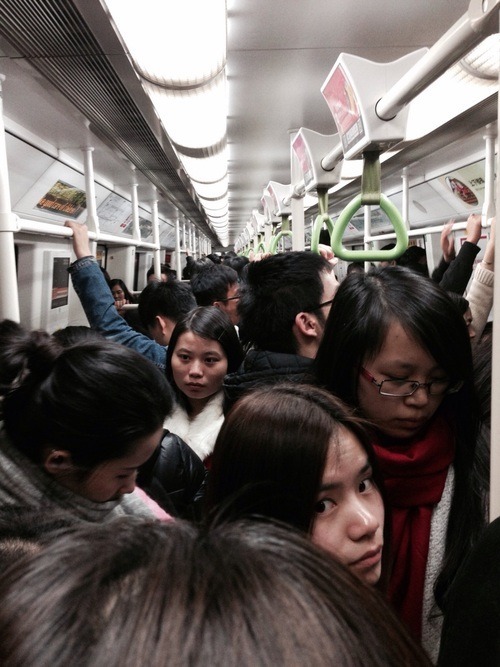 The start of a new consumer electronics giant? Fast forward 6 years when we had the same problem. We had heard about 3D printing, but had never actually used it. But after a day or two of re-learning how to use SolidWorks and a couple more hours designing a housing we went off to search for a 3D printer. By chance, Kuji was also a registered student at RISD at the time and RISD had some awesome machines. So once our designs were ready to print, we sent them off to RISD and a few hours later we had our first housings. By the next day we had packed our electronics into them and had our first fully functioning prototypes. 3D printing let us quite literally “rapid prototype” our first lighters. It’s enabling a whole generation of makers to hack together hardware projects, and it’s allowing hardware startups not to have to invest in tooling or manufacturing before getting something that’s good enough. The real benefit from having the housings was it allowed us to quickly learn and iterate. 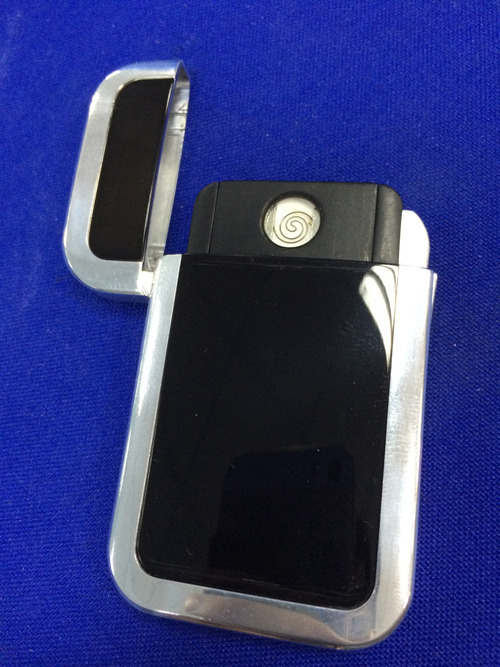 We were able to put our prototyped lighters into the hands of real people who wanted to quit smoking, and immediately start the learning process. To this day we’re still using 3D printing to quickly test new ideas coming from our talented team of designers. We print each new design they come up with to get a real grip on its look and feel. 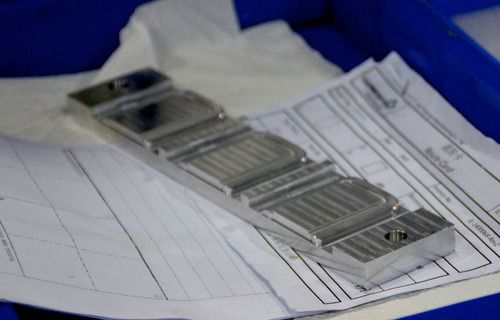 When they’re all assembled, we test the new forms with smokers, and iterate on how the design can be improved. 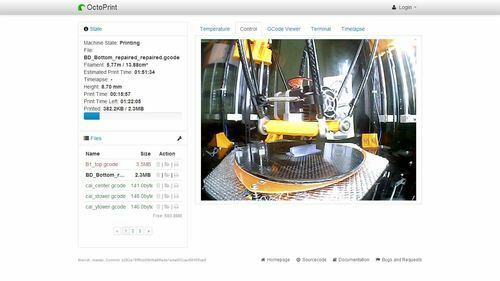 The best part of the whole process… I can stream live video of my print, view temperature stats and queue up new designs without getting up out of my desk! Making sure my print is OK without getting up. 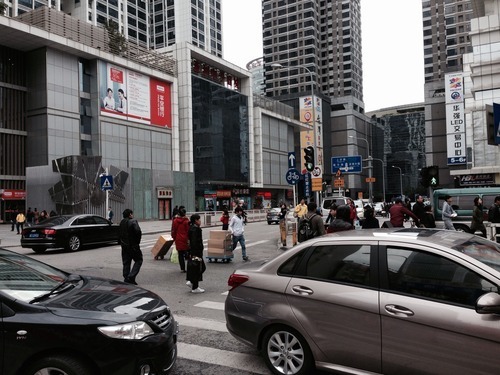 So Chinese New Year came to an end a while ago and the change in Shenzhen is amazing. Check out some of these during and after shots. Can you guess which of these photos are from during and which ones are from after Chinese New Year? Quitbit has moved to China! 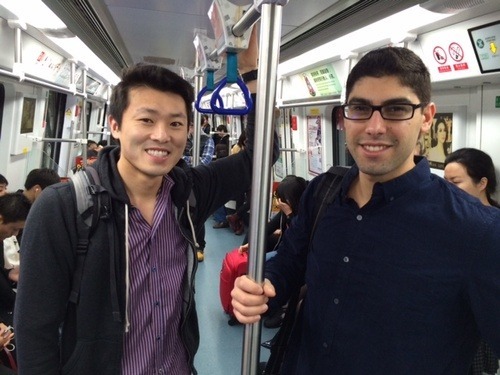 Quitbit has moved to China (at least for a few months)! We’ve escaped the cold New England weather to join the fourth cohort of HAXLR8R, a premier hardware-only startup accelerator, which has pumped out amazing companies like Spark, Melon, Nomiku and Kindara. 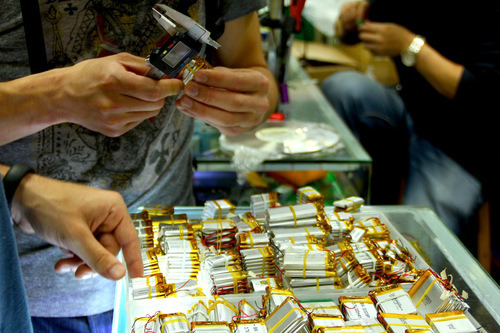 We’re located in the heart of the electronics market in China’s fourth largest city, Shenzhen. Many of your electronics are built around here including iPhones. When we walk out the door of our office, we’re just a couple blocks away from a real-life Amazon + digikey. It’s crazy. Over the next few months, we’ll be working on refining the product, finding suppliers, and building relationships with factories. Money doesn’t go nearly as far as you would expect here, but we’ve been blown away by how safe and clean the city is. 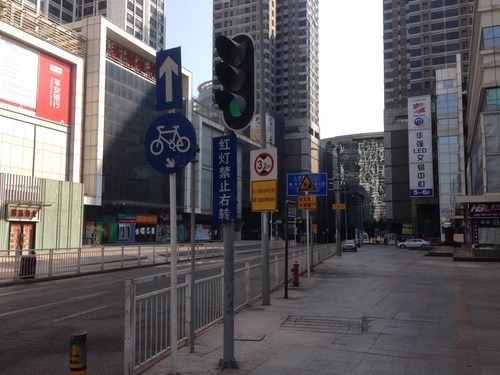 We look forward to keeping you guys posted and sharing daily life in Shenzhen with everyone! It’s now two days before I give up smoking for good. 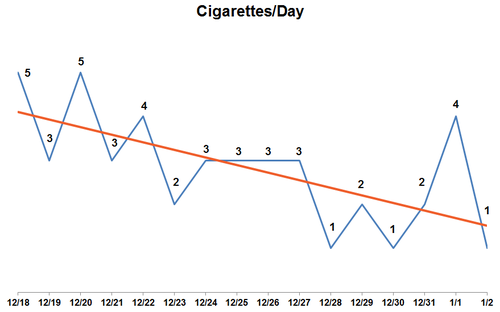 I’ve been using our device to track my smoking and help me reduce throughout the process. Even though I’m a light smoker, it’s been easier than I thought it would be to follow the program. I found that sometimes I didn’t want to smoke when it was “time”, so I would either just skip the cigarette or find a sometime later for me to smoke. The key for me was to know how many cigarettes I was budgeted to smoke a day, and how many I had left. Another important feature was to know how long it was before my last cigarette, because I used that data as a motivating force to keep pushing myself to hold out longer. Sometimes I would have a craving to smoke a cigarette when I was over budget, or when it wasn’t time yet. I got through the cravings by either smoking a few drags off an e-cig or just keeping busy with something else. The only real hiccup was the New Year party I went to, which triggered a huge spike in smoking (smoking is a social event after all). But, I was able to pull through and shortly afterwards my rates returned to normal. The beauty of using the Quitbit was that I didn’t have to worry about recording every time I was smoking by pulling out my phone. All the information I needed was self-enclosed in my device and it really made it dead simple for me follow my reduction plan. 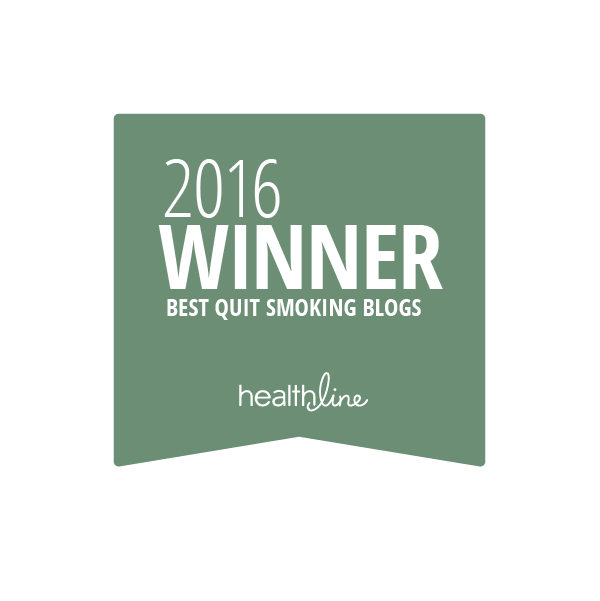 I’m really looking forward to being smoke-free and to continue sharing Quitbit’s journey with everyone! It’s been close to one week since I started using our lighter to help myself quit smoking. I’ve attached my smoking data below. On average I’m smoking 4 cigarettes a day, but I suspect some of this terribly cold weather we’ve been having in New England had something to do with the low rates. It’s really surprising to visualize how much I’ve been smoking. I consider myself a light smoker, but even over these 5 days when I added all my cigarettes, it cost me over $10! For heavy or a pack day smokers, Quitbit is going to show how much money they have saved when reducing to keep them motivated. The first step to change is to measure, and this is a great first step for me to begin my reduction plan. We’ve programmed the device to help me reduce my smoking over a 21 day period with a baseline of 5 (to adjust for the low smoking rates). I’ll be checking in with my thoughts as I progress through the process. Today is the first day in my journey to quit. I started smoking socially in college, then over the years started finding myself craving a cigarette when stressed. That slowly transitioned to smoking by myself and into become a full blown smoker. 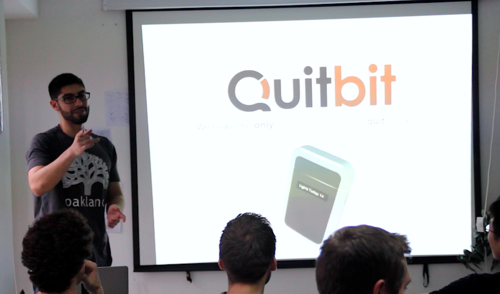 The idea behind Qutibit started as a response to my own desire to quit smoking months ago. I have a strong commitment to quit at this point and been “eating our own dog food” so to speak. Over the last few months, while deep diving into the smoking cessation space, I’ve become hyper-aware of the dangers of smoking and have decided that enough is enough. I’m going to be personally using our Smart Lighter to quit and will be sharing my progress and data throughout the process. Although I’m excited, I’m also a little nervous at the thought of stopping smoking. It’s almost like I’m about to lose an old friend. 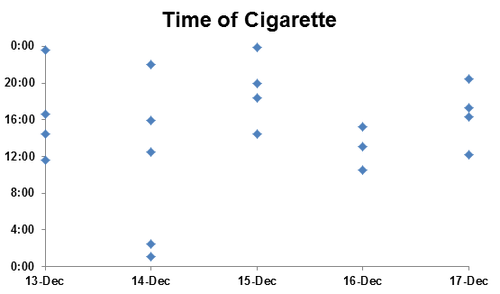 For the first phase, I’ve started using our device to track my smoking and gather a baseline reading of my smoking. I’m smoking just like I normally do, so far nothing feels different. Using our device though has been making me conscious of how often I smoke though, which is a great first step in quitting. 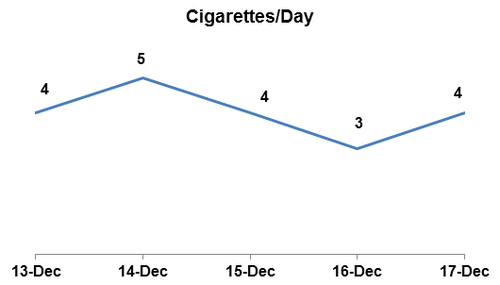 We’ve been quietly running a small beta study using our fourth generation device and have found that self-monitoring smoking and our reduction algorithm has effectively reduced smoking rates of users by an average of 30% after one month. The study was made up of employees from a non-affiliated local business. The results are promising, and user engagement is high with our device. We plan to extend our pilot to larger organizations in the coming weeks to tease out which features are working best for people!